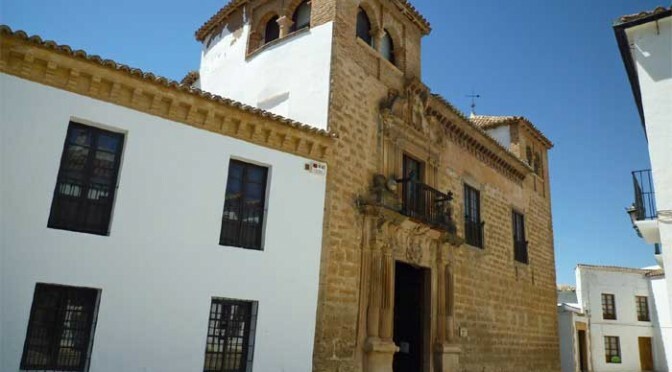 Ronda’s museums are a delightful way to spend a few hours for both holiday makers and residents alike. Children will love the Lara Museum, while adults may prefer the museum of wine, and art aficionados will positively love the collection of Joaquin Peinado. Located in the historic Mondragon Palace (Palacio de Mondragon), the Municipal Museum of Ronda details our city’s history from the stone age to the present time with some very well made exhibits such as the Pileta Cave reconstruction, the stone age hut, iron age technology including sword making, the Roman period with an important exhibit on Acinipo, Moorish Ronda including a detailed exhibit of Arab funeral rites, and a very interesting display on life in Ronda’s heyday, the 17th and 18th centuries. “Everything you wanted to know about bullfighting but were afraid to ask” is how this museum should be described. The Real Maestranza has a long history since 1572 of training cavalry officers for the Spanish Crown, and it was here that the Romero family created the modern Rondeño form of bullfighting, and here too that the Ordoñez family became celebrities. The museum charts bullfighting from it’s early days to the present with exhibitions of photos and items used in bullfighting. The other half of the museum covers the training of cavalry, which is the actual purpose of the Real Maestranza, and includes exhibits of weaponry and armour used through the ages. Visit the Real Maestranza website. The Lara Museum is an unusual collection of antiques collected by Juan Lara Jurado, the founder of the museum. The collection has been put together into galleries that might not seem immediately related but actually takes the visitor on a journey through science history of the last few hundred years. Displays on weaponry including pistols, knives, and catapults, sit side by side with displays on clocks, scientific instruments, cinema and photography and much more. Exhibits capture the imagination and despite some of the bloodlust such the displays on bullfighting or inquisition torture instruments, the Museum is actually quite child friendly. Visit the Lara Museum website. This is an unusual museum, and tends only to attract diehard hunting fans with it’s displays of guns, pictures of hunters and their catch, and of course taxidermy of animals hunted in the campo surrounding Ronda and further afield by Spanish hunters. The Museum also helps organise hunting expeditions in the Serrania; a shop with hunting supplies is also onsite. The only museum dedicated to bandits and highwaymen in Spain, this is a real experience of Ronda history not to be missed. Back in the 1800s bandits roamed the hills and valleys of the Serrania, and became so powerful in Andalucia the government in Madrid in 1844 ordered the creation of the Guardia Civil to put an end to their thieving ways. As late as the 1930s isolated pockets of bandits were still robbing wealthy travellers on their way to Ronda. The 1950s saw a small resurgence of banditry as communists and socialists opposed to General Franco’s regime waged a guerilla war from many of the same caves previously used by the bandits. The museum itself traces the stories of these folk legends from anecdotes and official court testimony, and is an important place of research for academics and writers interested in the psychology of the bandit. Visit the Bandit Museum website. Have you ever wanted to be inside the New Bridge, looking out the window at the valley below, imagining what it must have been like to be a prisoner shackled beneath the traffic, so near to the life you knew, but so far from it as well. Views of the Parador Hotel and the hanging houses seem so much better when looking from down on the landing below. Archeological evidence suggests Ronda was a favoured wine growing district from Roman times, and probably a lot earlier, and whilst the number of commercial vineyards around Ronda is small, the industry is expected to grow. The wine museum in Ronda traces the history of wine making from neolithic times, through Roman, Visigothic, and Arab time to the present. Visit the Museum of Wine website. Rainer Maria Rilke, described as one of the German world’s greatest poets, spent three months in Ronda at the end of 1912 and beginning of 1913, staying at the Hotel Reina Victoria. It was while here that he wrote part of his 6th Elegy and the “Spanische Trilogie”. Room 207 at the Hotel Reina Victoria has been converted into a small museum honouring Rilke’s connection with Ronda.